Rihanna is currently in Los Angeles and still working on her highly-anticipated ninth album. She posted a quick video on Instagram Story on March 12 showing off her outfit of the day. Long-sleeve turtlenecks layered under short-sleeve tees seems to be her new favourite thing. Let’s start with the t-shirt. 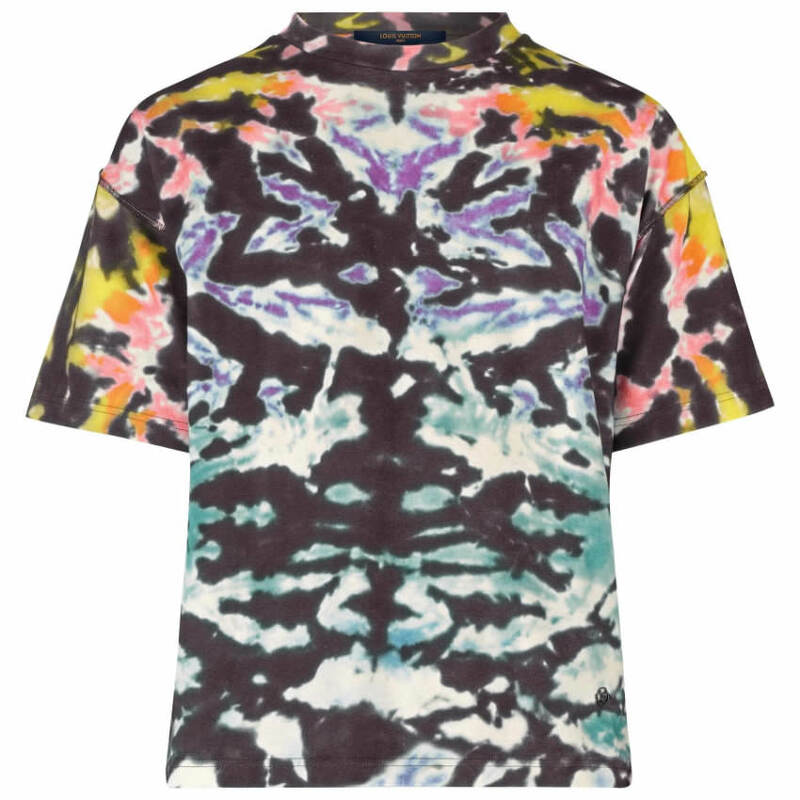 Rih sported Louis Vuitton‘s all over tie & dye tee ($655). From the Spring 2019 menswear collection, the cotton crewneck top features an array of colours including blue, green, orange and yellow. Asai is a new addition to the singer’s closet. She donned one of their signature tie-dye “Hot Wok” tops. 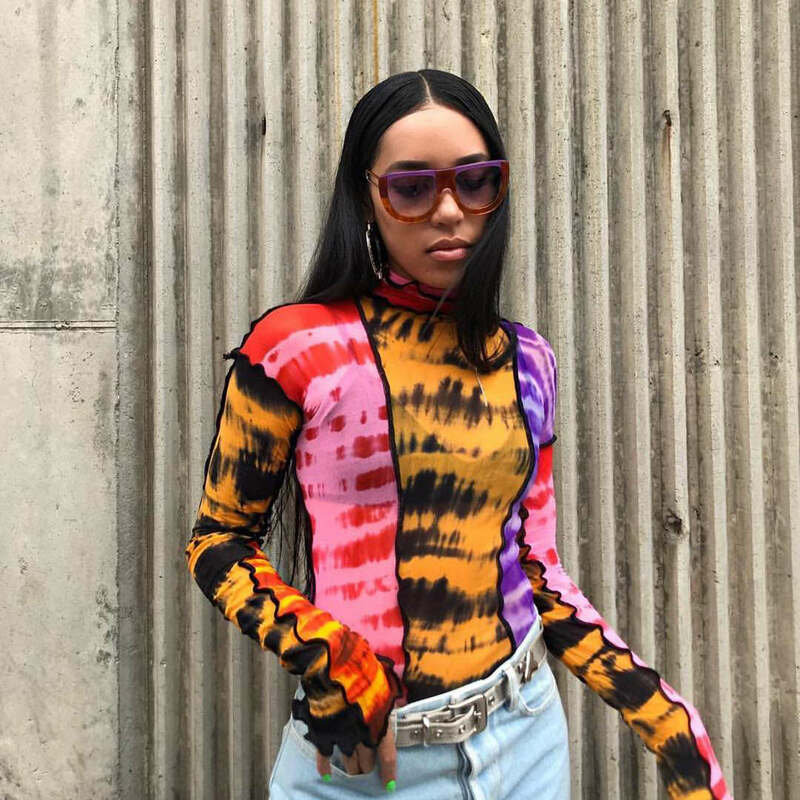 Check out influencer Aleali May in one of the tops in September last year. Rih’s version has the same black contrast stitching and sheer panels but the colours include purple, blue and green. Currently there are none of these tops in stock online but you can find Asai in store at Dover Street Market. 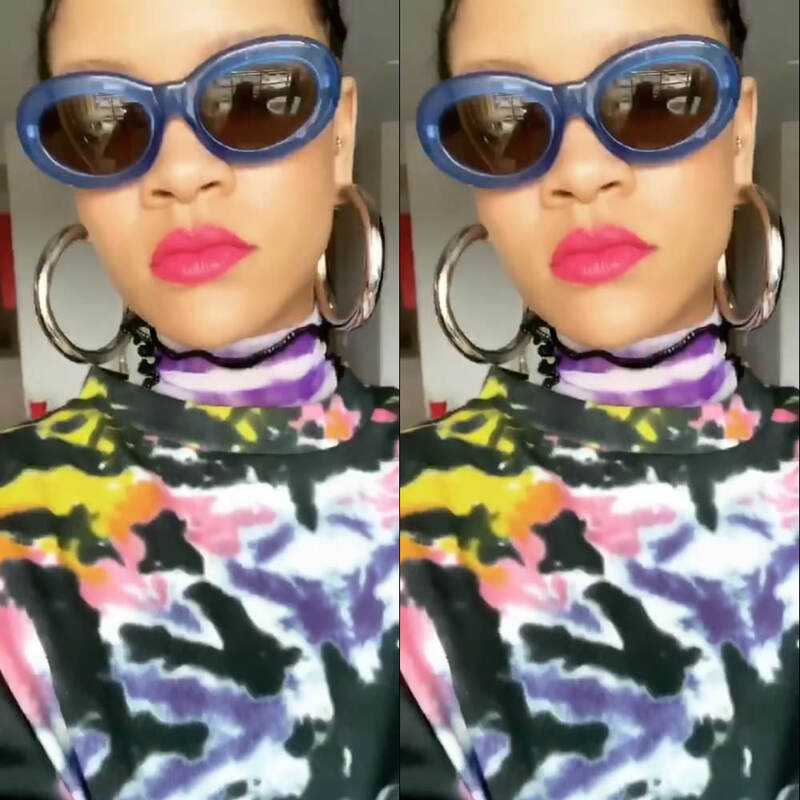 Rihanna wore the pink version of these Dries Van Noten x Linda Farrow sunglasses last year just before her 30th birthday. The oval sunglasses feature shiny, translucent frames and brown lenses. 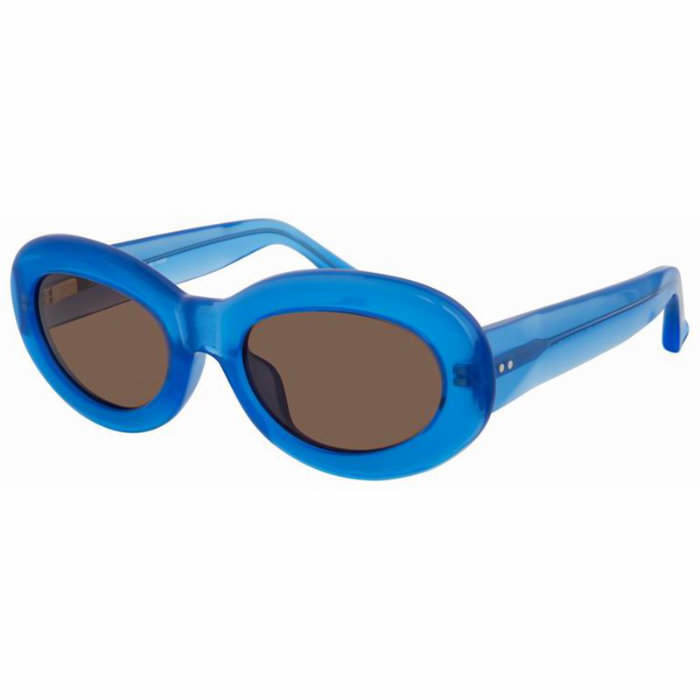 Check out various colours over at Only Lens. Get into those hoops! Jennifer Fisher is still Rih’s go-to for killer hoops. This time the Barbadian beauty opted for the Mamma Jamma earrings ($795). 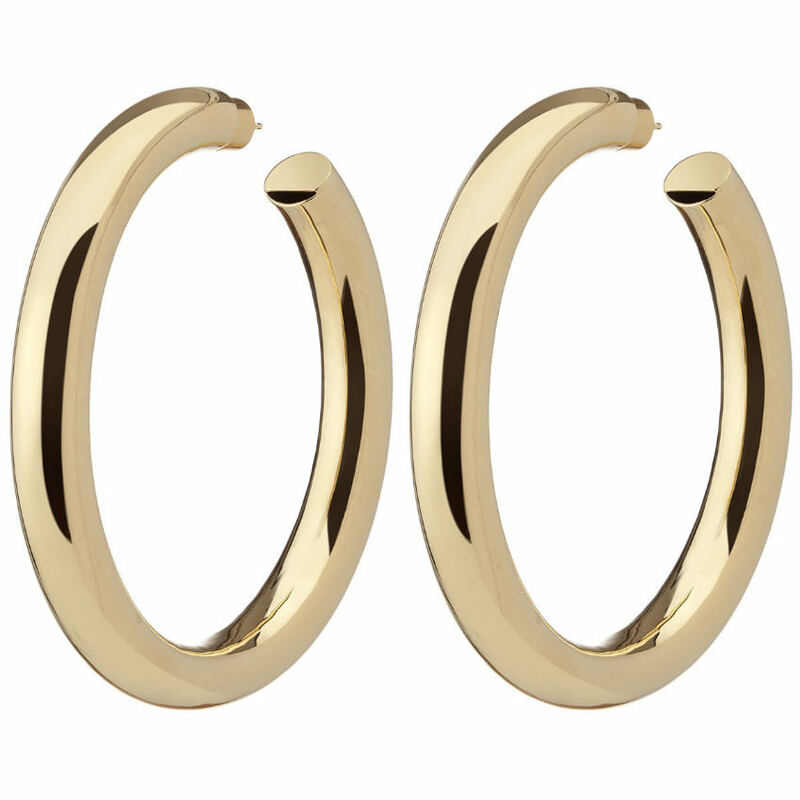 These plated silver rhodium hoops (pictured here in 10k yellow gold) are 8.75mm in thick with a 2.5″ interior diameter.